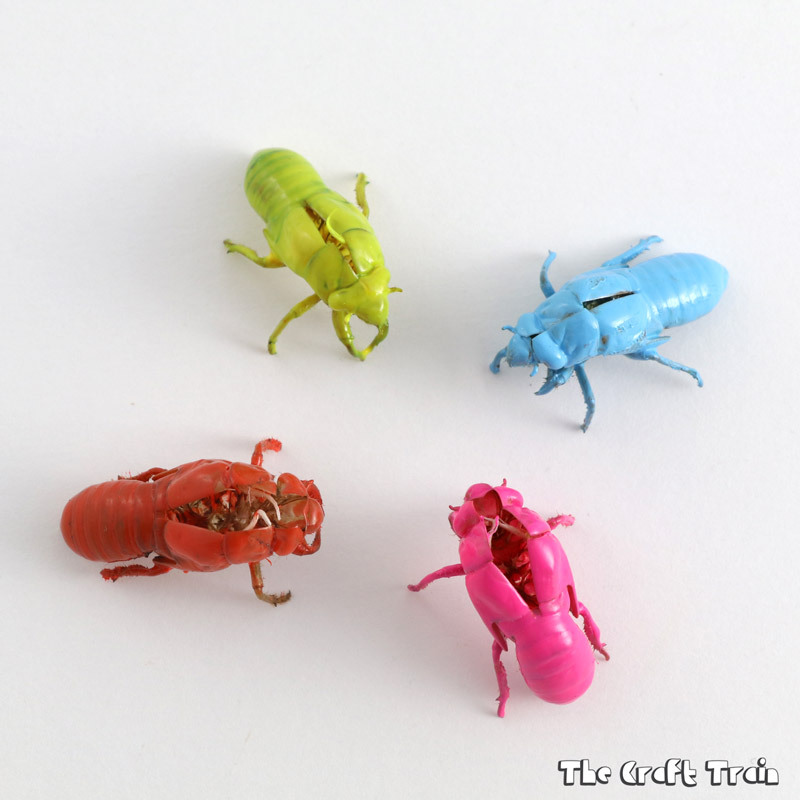 Here’s a fun nature craft idea that kids will love – neon cicada shells. 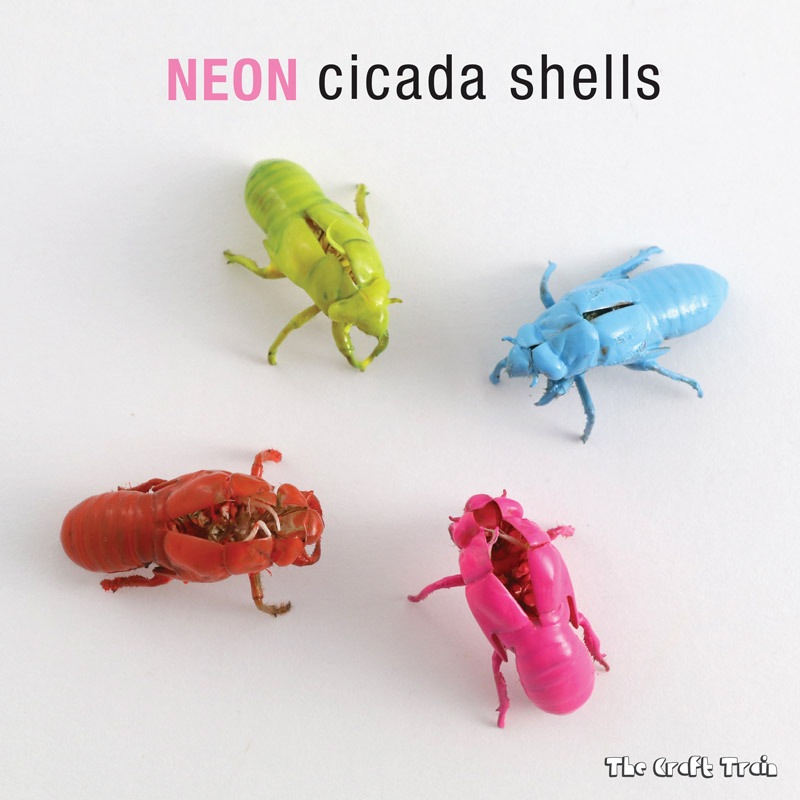 If you live in an area where there are no cicada shells maybe you could try making some neon rocks, leaves or acorns. 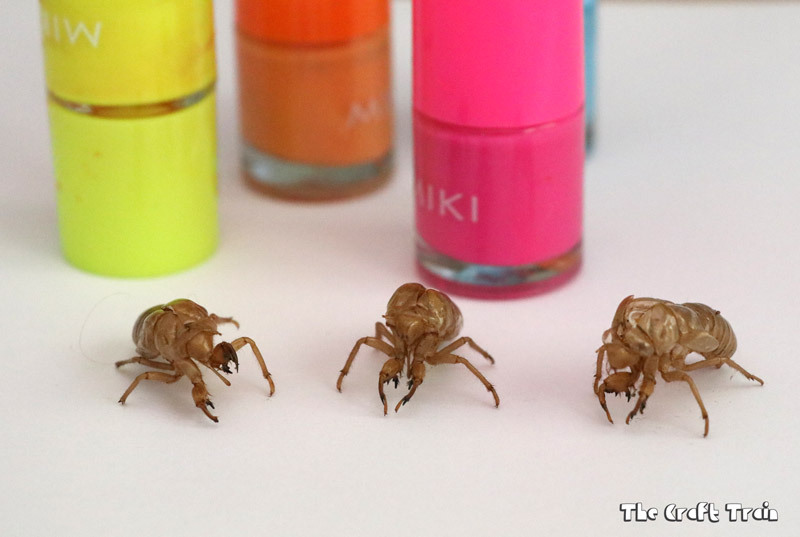 I have a real soft spot for cicadas. When I was a kid I spent large chunks of time every summer in the bush near our house hunting for them. Their incredibly detailed shells were greatly prized by all the local kids, and we weren’t afraid to pick up the insects themselves and hold them. 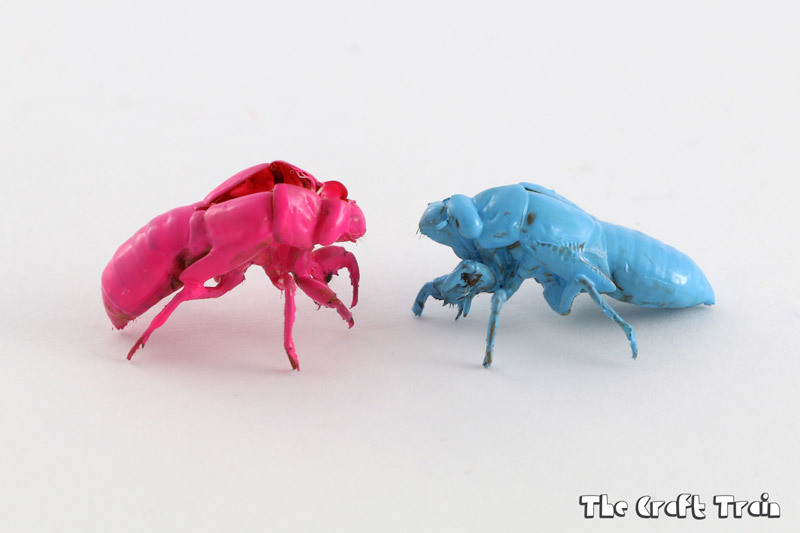 We lived in the Blue Mountains where there are many varieties of cicadas in all different shapes and sizes. There are Green Grocers, Yellow Mondays, Black Princes, Tom Thumbs and Cherry Noses, plus lots more. We knew all their names, and proudly wore the shells attached to our shirts by their spiky little feet like brooches. • Many of the names of the different species were thought up by children, which is probably why they are so descriptive and creative. 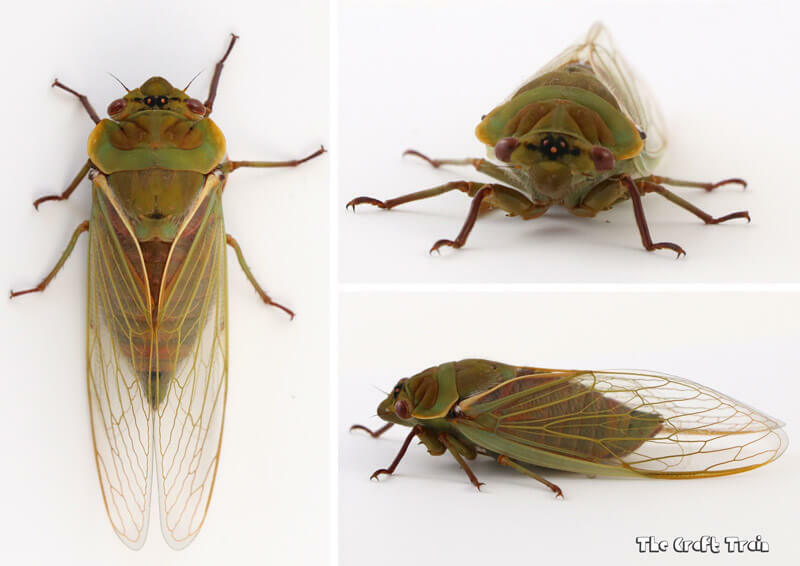 Here are few photos of I’ve taken of Australian cicadas. They look quite different once out of the shell and are surprisingly docile. When I placed this green grocer in my photography set up he didn’t budge an inch. He just simply sat there looking cute for the camera and giving me his best photo smile. Of course, I released him as soon as I was finished. I even needed to give the piece of paper a good shake to get him to fly away! Here is a masked bandit cicada I found sitting on the wall outside our back door. He was equally cool for the photographs, sitting still for a long time and not caring one whit about the gigantic camera lens being shoved directly into his face. 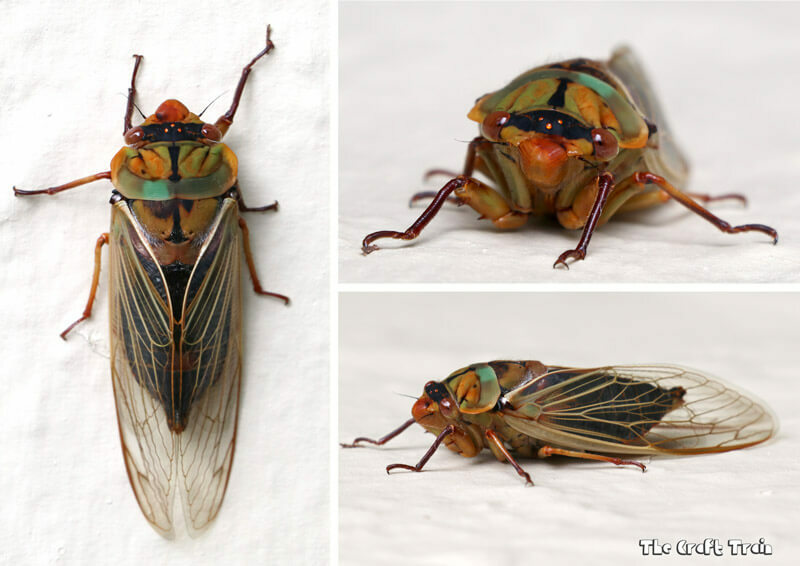 I’m not surprised to see that my kids love cicada shells as much as I once did, and it’s that time of year again – noisy cicada season and the race is on! Already the girls have gone hunting around the tree trunks in our neighbourhood searching for shells to add to their collection. They are trying to collect more than each other and more than their school friends. I wonder who will win, and how many of these delicate treasures will end up as dust ground into our carpet. 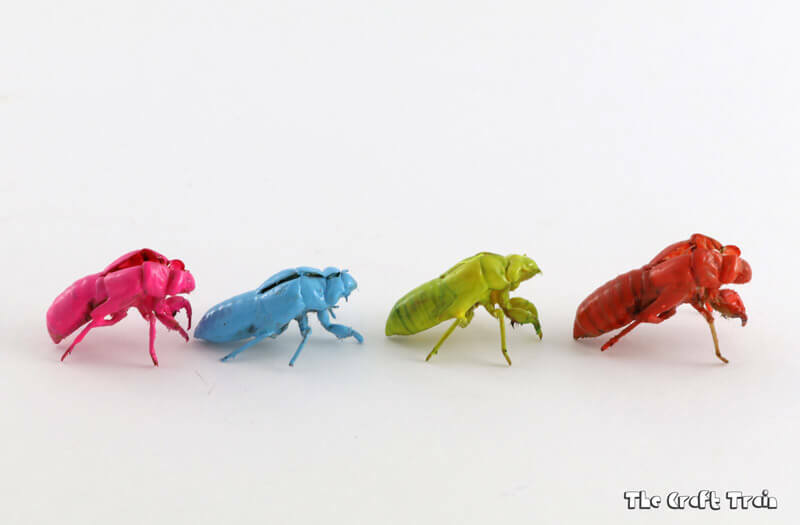 In the past we have painted and glittered cicada shells, but this year we decided to do something a bit different. We’ve made them neon! Allow to dry and paint another coat (or as many extra coats as needed to get the surface bright, shiny and opaque). They look like they’re plotting something don’t you think? 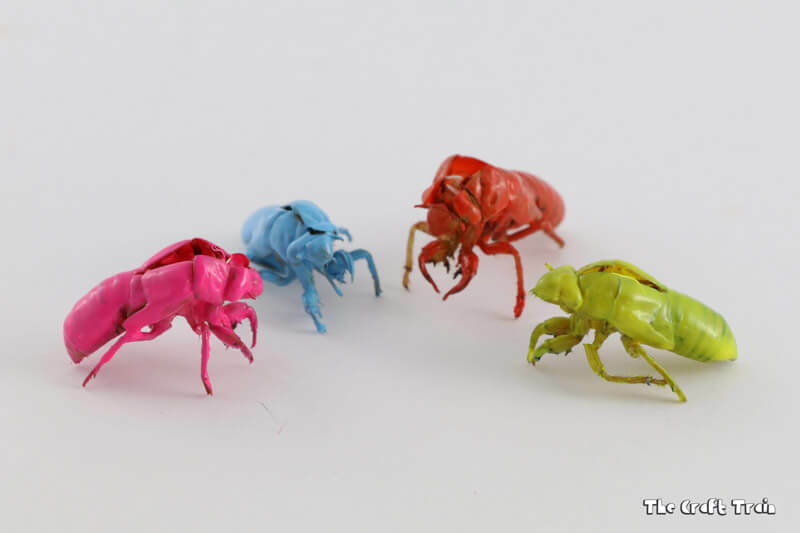 Cheeky cicadas! 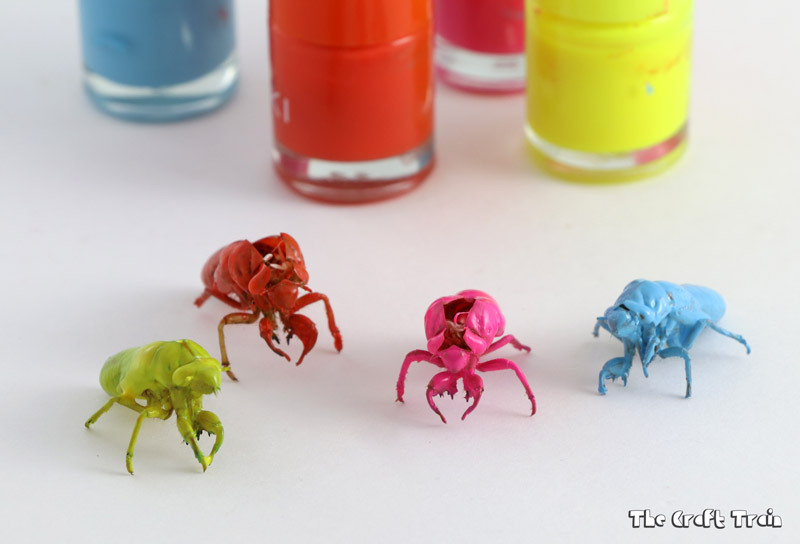 • These pebble love bugs are so cute!